Feb. 24, 2017 — San Diego, CA — Essure is costing its maker Bayer millions of dollars. Modern Healthcare reported that in 2016 alone, Essure problems cost Bayer $413 million in impairment losses. An impairment loss is essentially the decline in the value of a product. The numbers were released Wednesday in Bayer’s annual report. Despite posting record gains for the year — $4.8 billion in net income — lawsuits involving Bayer’s permanent sterilization device Essure cost the company millions, Modern Healthcare reported. 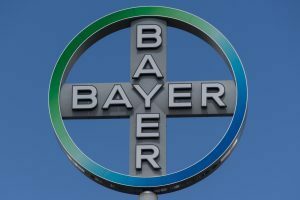 Essure litigation, along with litigation stemming from its birth control pills Yasmin and YAZ, has reportedly cost Bayer more than its insurance covers. More than 3,700 women in the U.S. have filed lawsuits against the conglomerate, according to its annual report. Essure lawsuits allege the birth control device was defectively designed and that Bayer failed to warn about its possible risks. Essure is made of two metal coils inserted into the fallopian tubes. The coils incite an inflammatory response and create scar tissue that blocks the tubes and prevents fertilization. This is just a short list of side effects reported by women with Essure. The U.S. Food and Drug Administration told Bayer last year to put a black box warning on Essure’s label to warn women of the possible side effects. Black box warnings are the FDA’s strongest warnings before recalling a drug or device. Essure’s black box warning was finalized late last year, along with a new patient checklist. Bayer has stood by the safety of Essure since its approval in 2002, even in the face of mounting lawsuits here in the U.S. and abroad, Modern Healthcare reported. Many Essure advocates, who have been fighting long and hard to get Essure off the market in the U.S., celebrated Brazil’s move and called on the FDA to do the same. The FDA has been investigating Essure since reports of serious side effects began pouring into the agency. Between 2002 and 2015, the FDA received nearly 10,000 reports of injuries related to Essure. Many of these adverse event reports were submitted by the injured women themselves. Any woman who has been injured by Essure is encouraged to submit an adverse event report to the FDA. 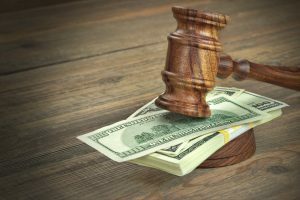 Women who were injured by Essure may also be able to file lawsuits against Bayer Healthcare.